As I watch my teen daughter stressing over her appearance and posting selfies constantly, I’m reminded of my own teen years and high school and all that pressure to fit in. Now, with constant scrutiny in a very public way through technology, I think it’s even worse. For adults, I wonder how different it really is though? We’ve got success on our minds and make decisions every day about what we will have to do to accomplish that. Just as in high school, I think the success path that many people seek is still about fitting in (becoming who we need to be in order to be accepted). At some level, we want to be seen as part of the “in group”, linked with “movers & shakers” in our field, or following a certain expert’s advice as if they’re some guru – and have learned that having these “connections” actually makes the success track easier. 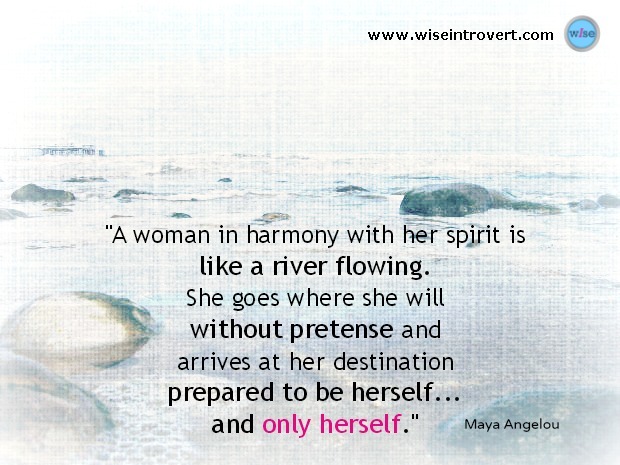 So how does this work for us introverts? If you’re like me, not so well. 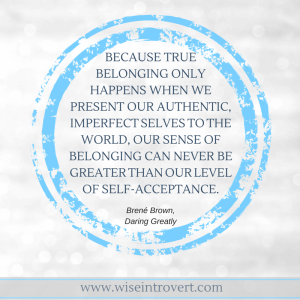 Much of the pain in my life has been, and continues to be, about actually being seen – and feeling a genuine sense of belonging (being accepted as my authentic self). Now, years later, my replacement is in a very high profile position that comes with accolades, respect, admiration, and a significant financial compensation to boot. With my bruised ego came the immediate reminder that I was “the other – an outsider.” My mind automatically went to, “That could have been me, but because I couldn’t handle the pace, pressure, and the constant public nature of the work, I’ll stay stuck with the short end of the stick.” I blamed my introversion as if it made me defective. I felt anger and frustration with “the way the world works” (ie. extroverts win). After I had a chance to get over myself and my little pity party, I was able to remember that I left because it was not the right fit for me. It sucked the life out of me. I chose a different road. 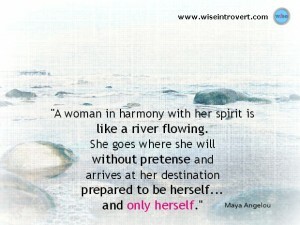 My journey is to find, choose or create the situations/environments where I belong and flourish – naturally. And, in my forties, I’m still figuring it out. As an introvert, I want to remain private but still feel like I matter – that people actually see me for who I really am, want what I have to offer, and care that I prosper. And this brings me back to the topic of shame that I have written about before. 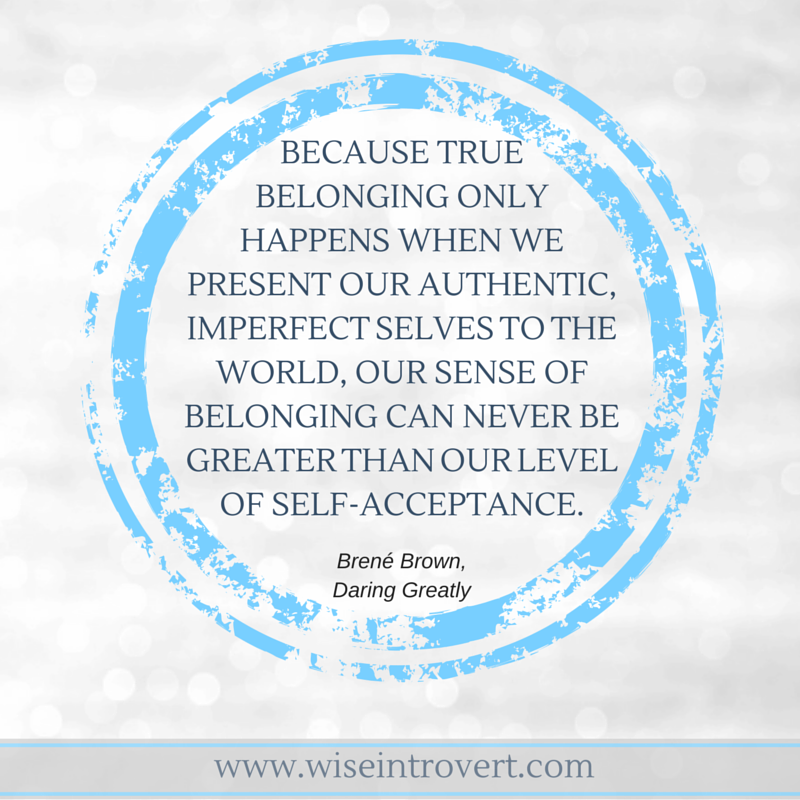 Because this issue of belonging is really an inside job. According to Brown, this shame is universal. Among the twelve shame categories that she introduces in the book, being stereotyped or labeled is one that I feel fits with introversion. It’s one thing when stereotypes and labels are reinforced in society. It’s another, and more debilitating, when we believe them ourselves. To put yourself out there in a way that is just for social acceptance is not to really be seen for who you are…it’s just about fitting in…which is a very empty way to live. Belonging is something deeper. But here’s the hard truth. Before we can feel belonging in the world, we have to love and accept ourselves. And that requires changing the belief in our defectiveness; that part of us we compare to others that keeps us feeling like we don’t measure up. It requires that we are kind to ourselves: that we choose self-acceptance. We all want to feel like we matter and belong, just as we are. See me! Acknowledge me! Choose me! This is just another reminder that the answers lie within – and real change starts from the inside out. But I want you to know that you are not alone if this is a pain point in your life. See yourself. Allow yourself to love what you see. Be vulnerable enough to share it. It’s not about anyone else, despite how much we want to find external factors to blame sometimes. This is our very own personal lifelong growth opportunity. Be seen! 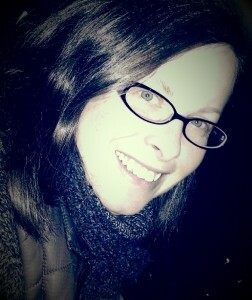 Feeling invisible, defective, or like “the other” hurts. How does this relate to your own story?